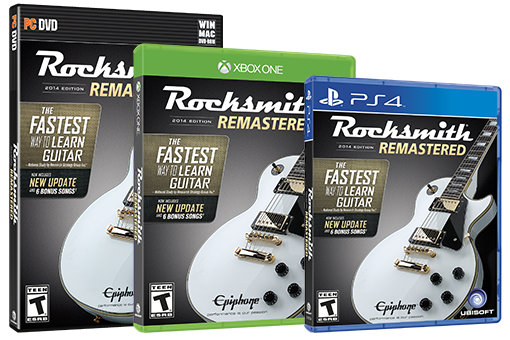 Rocksmith is designed to give you the fastest, most fun guitar learning experience ever created. A lifetime’s worth of bass and guitar lessons, all in one box. 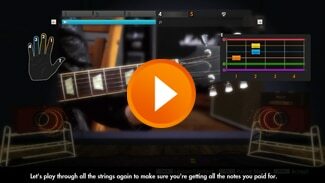 Rocksmith 2014 Edition – Remastered includes over 80 interactive lessons to help teach you almost every technique associated with guitar and bass under the sun. Everything from the basics of strapping up and holding a pick to advanced techniques like tapping are covered in detail in our hi-res, multi-camera angle videos! Taking the pain out of practicing, one laser blast at a time. Guitarcade mini-games make practicing chords, scales, bends, techniques, and muscle memory more fun than pure drills. Scoring tracks your progress and motivates you to hit that next level of achievement. 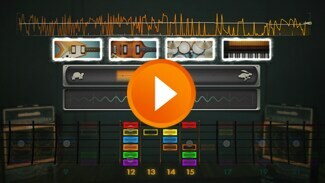 It’s yet another way Rocksmith makes learning guitar easy and fun. We'll flat out say it – Session Mode is the next great innovation in music software. Learn to jam with a virtual band of AI musicians that dynamically react to what you’re playing. Session Mode helps you take the guitar skills you’ve learned in Rocksmith and apply them to a real-world musical situation. Riff Repeater helps you practice by focusing on specific song segments. 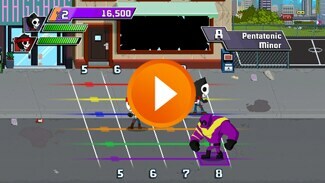 You can set your starting difficulty level, speed, or play note-by-note through especially challenging parts. 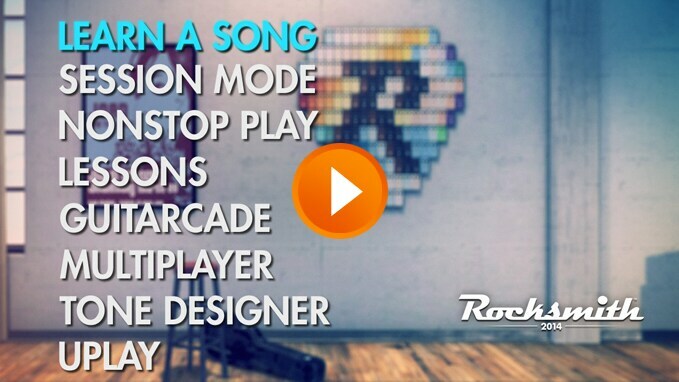 Quickly memorize songs, then show them off outside of Rocksmith. With Master Mode you can practice playing songs entirely from memory, all on your own. It’s the ultimate achievement in Rocksmith when you’re able to walk away and play your favorite song anywhere. An arsenal of guitar gear at your disposal for sonic wizardry. By turning your TV or computer into an amp, Rocksmith also simulates thousands of dollars’ worth of custom amp and pedal gear. It’s a comprehensive guitar gear collection. Utilize your armada of tools with multiple tunings to create your own unique sounds and riffs. Learn more about additional updates in the Remastered version here.